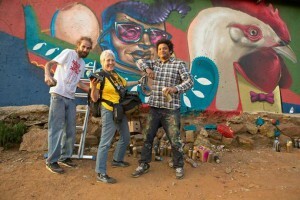 Laurice Taitz is Jozi’s queen of mavens (aka founder and editor of the amazing publication Johannesburg In Your Pocket). 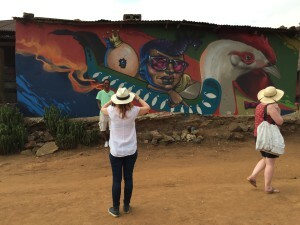 She has an extraordinary knowledge of Joburg and always manages to find relatively unknown hidden gems. Ntokoza Dube or TK. is one of these. He runs walks through Kliptown and when, in late 2015, Laurice asked if I wanted to join one of his tours, I leapt at the opportunity. Walking tours are my thing. In 2013 I wrote a blog about the different kind of perspective and experience one gets when walking a district rather than driving through it. Born in Kliptown, TK matriculated in 2005 after which he started doing work for an amazing man called Bob Nameng. TK said Bob kept him off the streets. 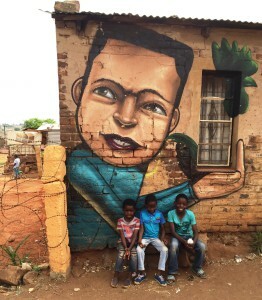 In 1987 Bob started an organization called SKY (Soweto Kliptown Youth) which runs a range of community upliftment programmes, one of which is running tours of Kliptown. In 2008 TK showed a group around the neighbourhood and through this met an Australian woman who was so impressed with him that she funded a trip to Australia and gave him a financial leg-up. 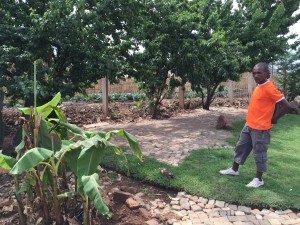 In 2009 TK worked at Origins Centre at Wits and in 2010 at the Soweto Hotel in a guiding capacity. He has now branched out on his own as TKD Tours. 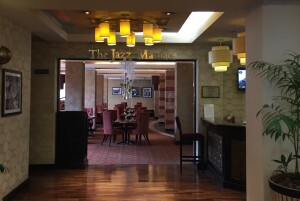 We met at the Soweto Hotel and after a welcome cup of coffee went to the small museum right opposite the hotel – a little jewel which focuses on the 1955 Congress of the People. 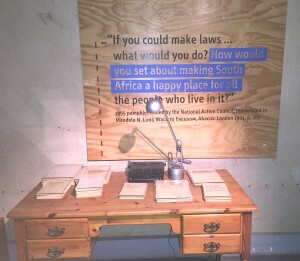 The displays included photographs, newspaper clippings and contextual installations. It was the Congress of the People that led a year later to 156 of the Congress leaders being arrested in the early hours of 5th December and the infamous treason trial. The imprisonment in communal cells in Johannesburg Prison (at what is now Constitution Hill) resulted in what Mandela famously described as “the largest and longest unbanned meeting of the Congress Alliance in years”! 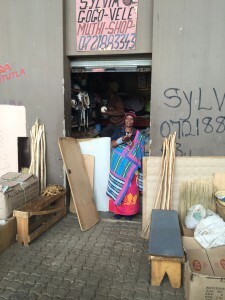 Wandering off towards the trading hub of Union St we passed Gogo Sylvia’s muthi shop. 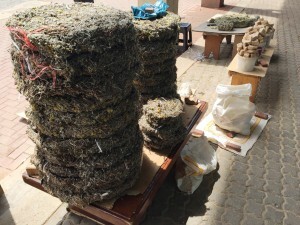 Outside were brooms to sweep away bad spirits as well as stacks of Impepho for burning at the birth of a child. 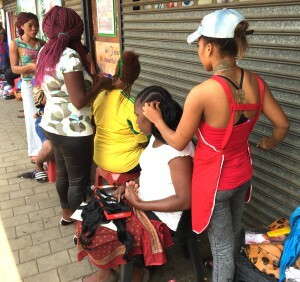 Union Street was buzzing with street life: informal trading; hawkers plying their wares and fresh produce; women having their hair done. It was crowded and bustling – kinda chaotic but full of energy. 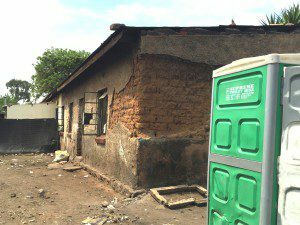 We were struck by how parts of Kliptown have relatively good infrastructure while others have clearly been badly neglected. 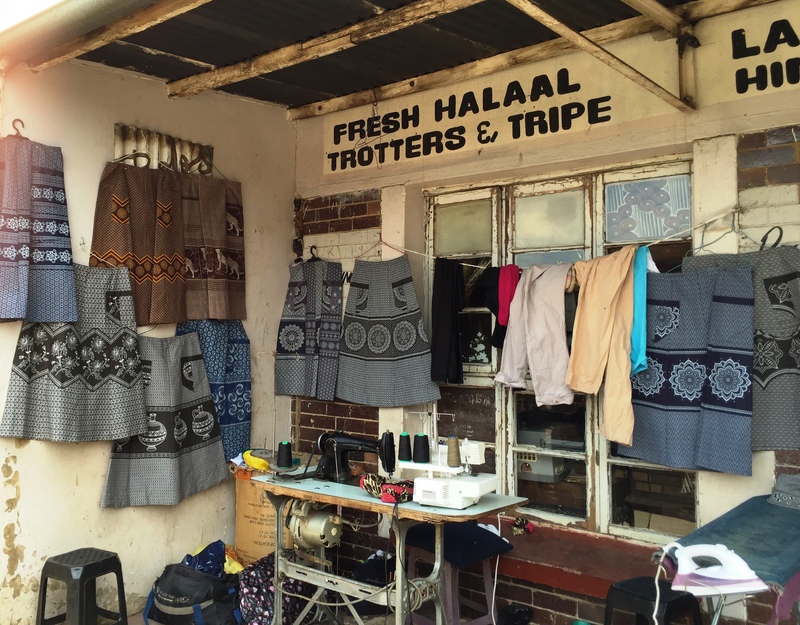 The evidence of the multiracial living and working that is so much part of Kliptown’s historical fabric is everywhere to be seen. 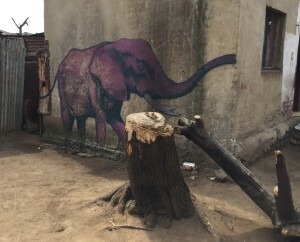 It is this along with the houses which are individually designed that gives Kliptown its particular feel which is so different from the parts of Soweto where programmatic housing was undertaken. 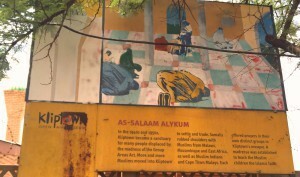 The highlight of the tour was a stop at Oom Bolo’s idiosyncratic museum. 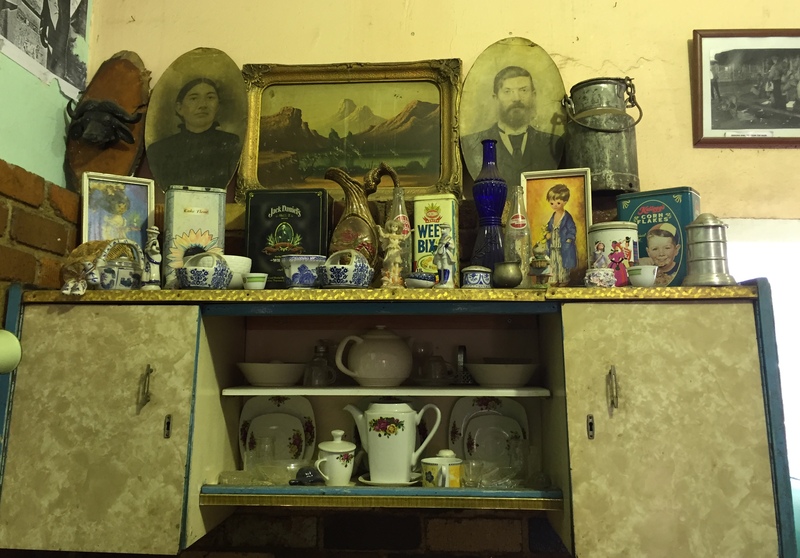 Oom Bolo is a photographer and collector and has developed this self-made museum which highlights everyday life in historic Kliptown. 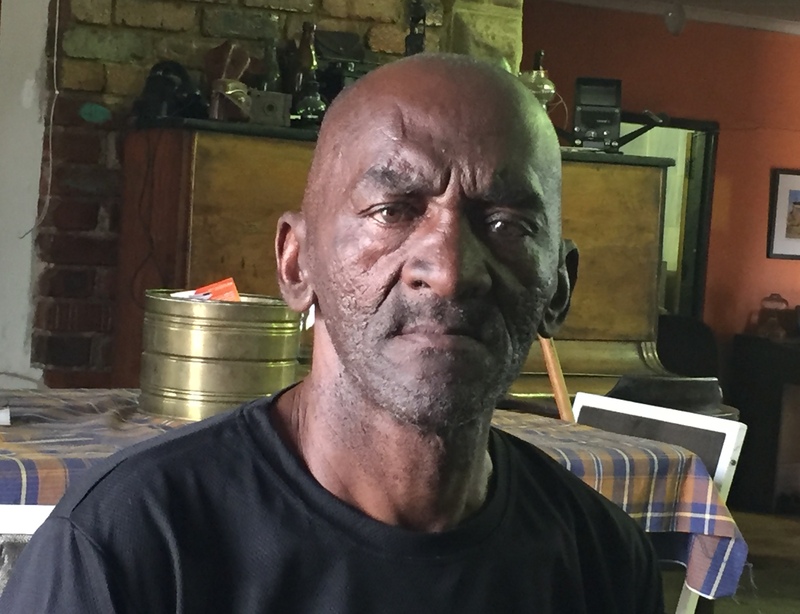 We enjoyed a colddrink sitting round one of the tables (it’s possible to get a meal) while Oom Bolo had many personal stories to tell about living in Kliptown and what it was like living under the stringent laws of the Apartheid regime. 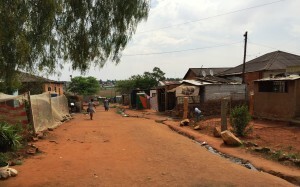 There is a clear lack of basic facilities and infrastructure in much of Kliptown, with communal taps for water, portaloos, no tarred streets, total lack of any drainage, minimal electrical connections etc. 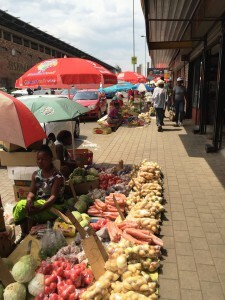 However despite this obvious dire poverty and lack of access to basic resources and infrastructure, there is a vibrant sense of community and there are so many examples of private individuals making the very best to transform public spaces with urban gardens, attention to pavements, and newly painted houses. 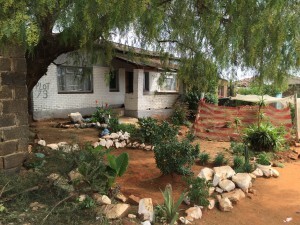 Liz at Lancaster Guesthouse will be recommending this tour to guests as it gives very different insights into Soweto as compared to the drive through in a van or car. It’s well worth it – highly recommended. Call Ntokoza (TK) Dube +27 73 133 5234 or email tktours.dube13@gmail.com to book.